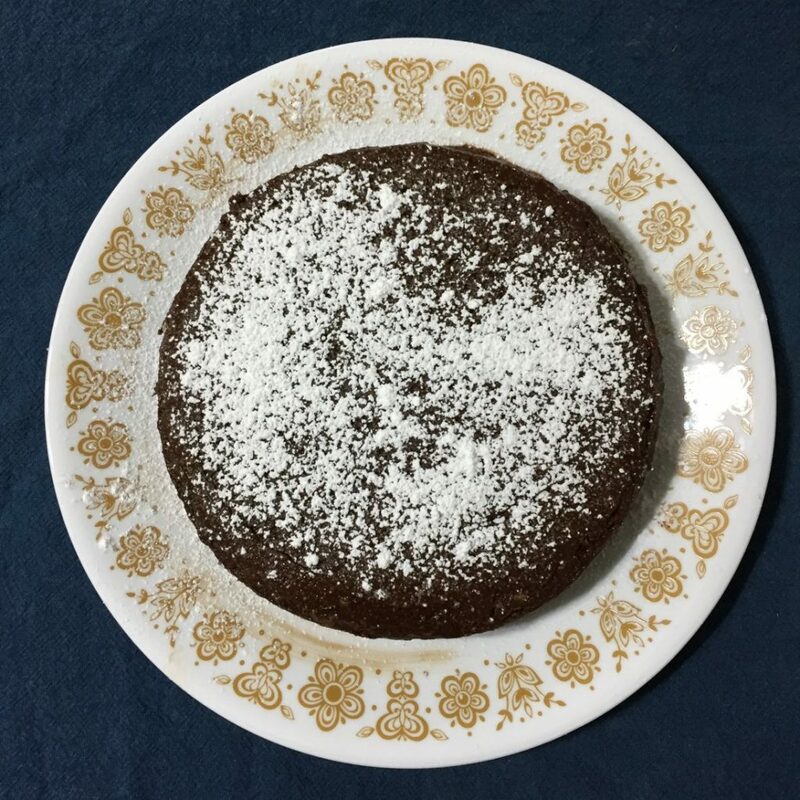 Saturday, January 27th is National Chocolate Cake Day and we found a recipe to help us celebrate. It may be a stretch to call cake healthy, but if you ever can, this cake might be the one. 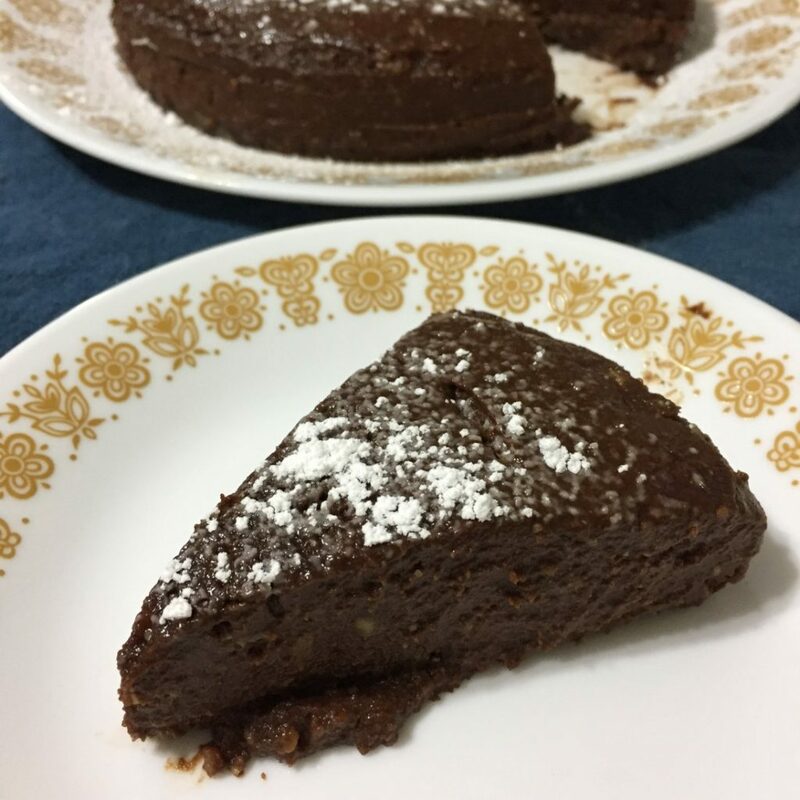 This vegan cake has no gluten, eggs, nuts, or dairy! It can also be made in your Instant Pot which makes it convenient and minimizes dishes. We had to try it. 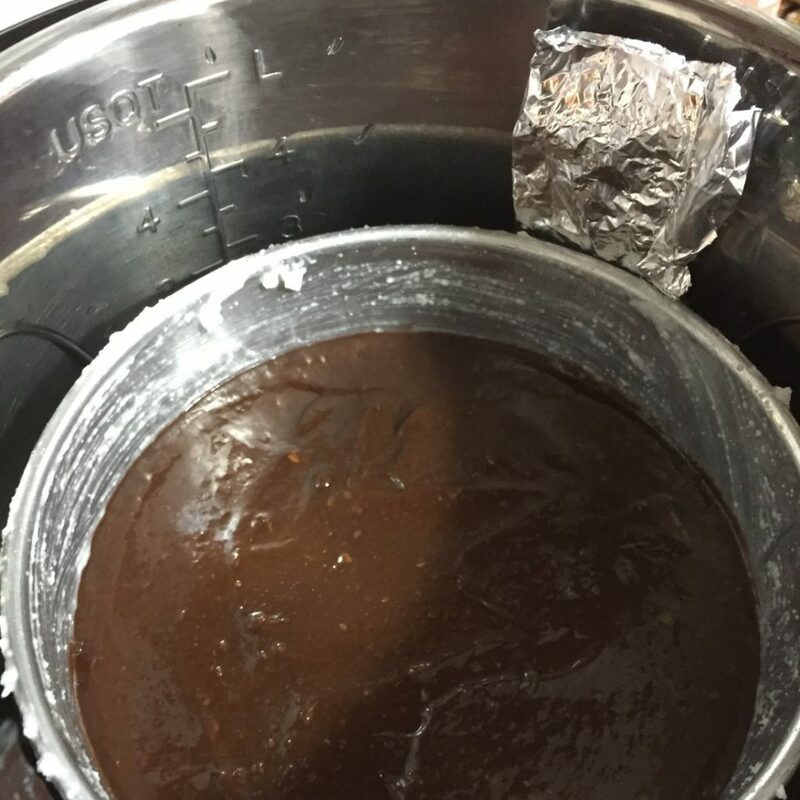 Luckily, employee Alex has an Instant Pot and was willing to test it out for us! Keep reading to see how it turned out. Alex here! Since I got an Instant Pot for my birthday last year, I have been excited to test it’s many abilities. Unfortunately, I lack the basic skill of planning ahead when it comes to cooking. So, my experience with the Instant Pot has so far been limited to mostly soups & roasts. 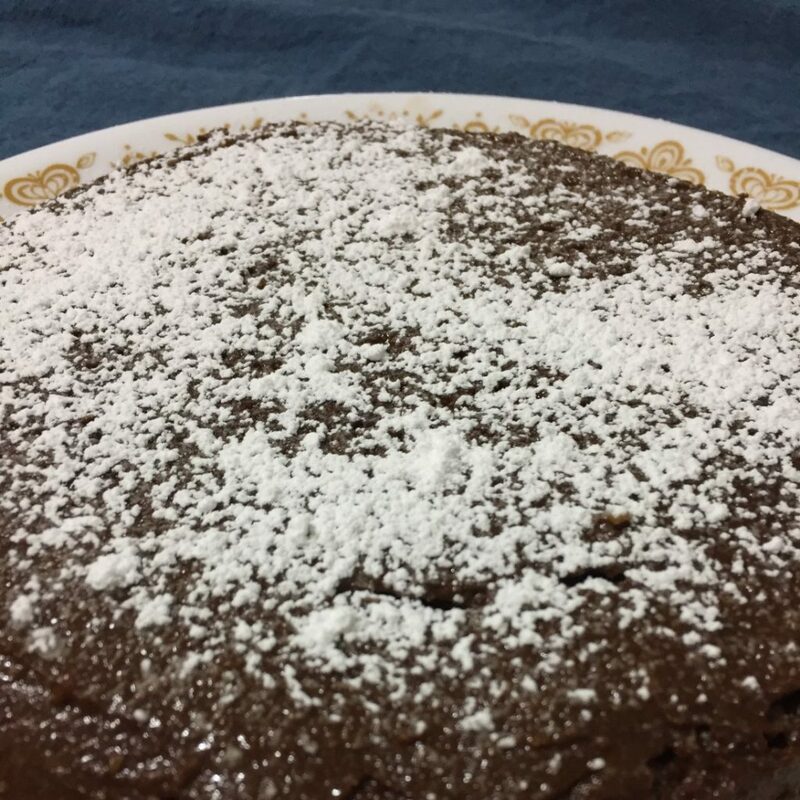 This is why I was very excited when I got the chance to try out this Allergy Friendly Chocolate Cake in the Instant Pot (whew!) recipe from Traditional Cooking School! The recipe was a little daunting at first with its 30 steps, but after reading through the ingredients and instructions I figured I would give it a try. Luckily, I didn’t have to go to the grocery store since I already had all the required ingredients. 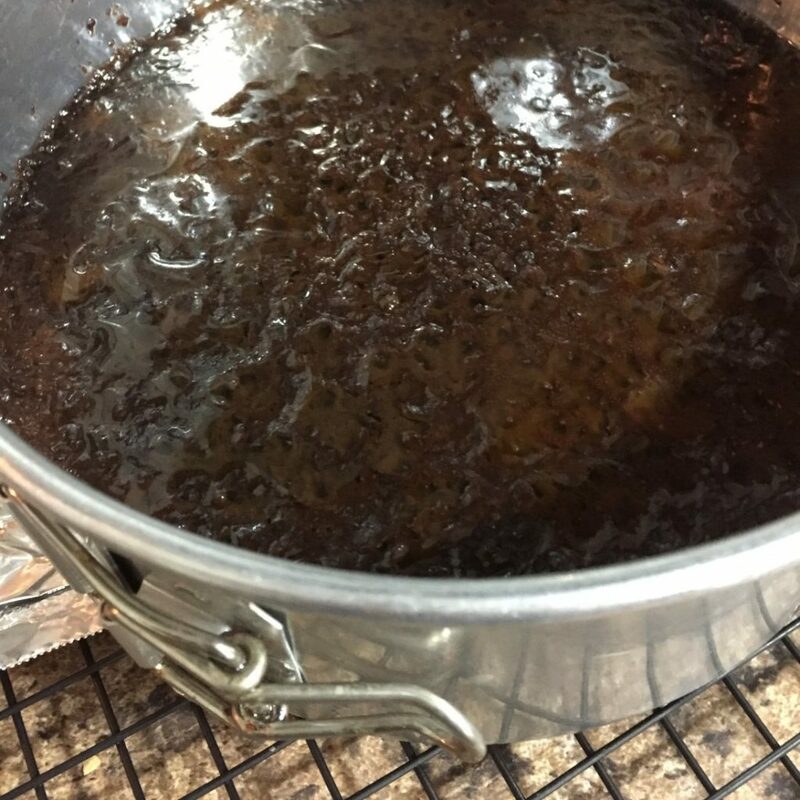 The first part of this recipe involves melting the chocolate and oil. I chose to use coconut oil and some 75% cacao chocolate chips that I had on had. These weren’t technically unsweetened, but they didn’t have much sugar so I thought it would be okay. The bowl I chose fit so perfectly in my instant pot that I was worried I wouldn’t be able to remove it. Because of that I decided to try to the foil sling that is recommended later in the recipe. It worked really well, but was still a little unstable. I would potentially use two of them crossing over each other in the future. The chocolate melting stage took a long time, but it was okay because I was able to work on the other steps in the mean time and just stir the chocolate occasionally. While my chocolate was melting, I mixed the other ingredients together. 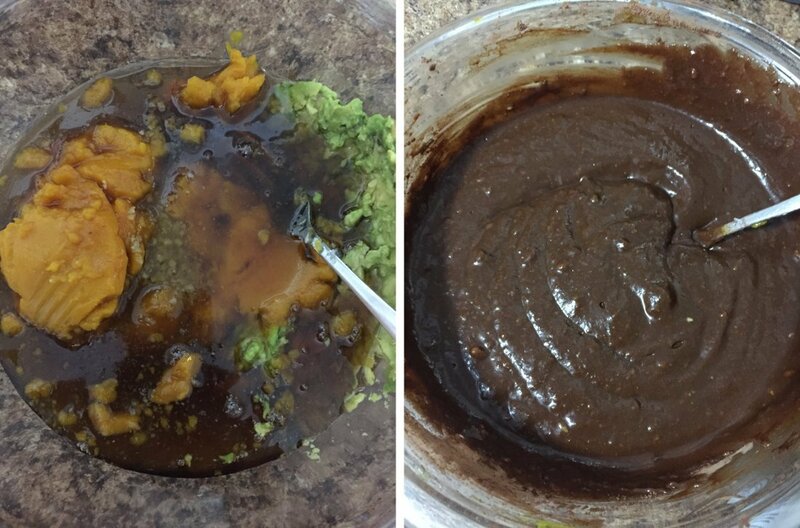 I decided to use one avocado and one cup of pumpkin because I thought the two would compliment one another well. I mashed the avocado with a fork before adding the other ingredients, but if I make this again I think I will use a blender for this stage. There were still some avocado chunks in there when all was said and done that I could not get to mix in. Also, I used maple syrup instead of honey during this step (of course). I got the pan ready to go by greasing it with coconut oil and cutting a piece of parchment paper to fit in the bottom. When my chocolate was (finally) ready, I mixed it in with the batter as instructed. I had to taste the now warm chocolate deliciousness that was happening at this stage. So good. I poured the mix in the pan and carefully moved it over to my Instant Pot with the trivet, water, & foil sling underneath. My Instant Pot actually has a cake setting which came very close to the settings indicated in the recipe. I just had to shorten it by 2 minutes. I set it to start and waited to hear the beep. 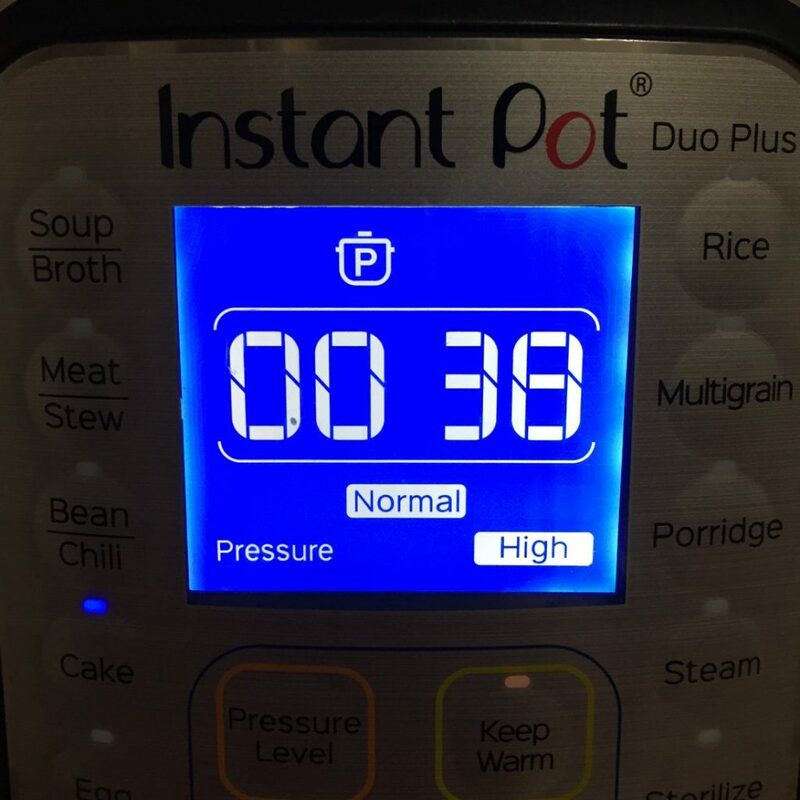 When it beeped, I turned off the Instant Pot as instructed and set a timer for 10 minutes before releasing the pressure. I have read in other places that you can just leave it sit until it reads 10, but I wasn’t sure if that would work the same, so I stuck with the recipe. 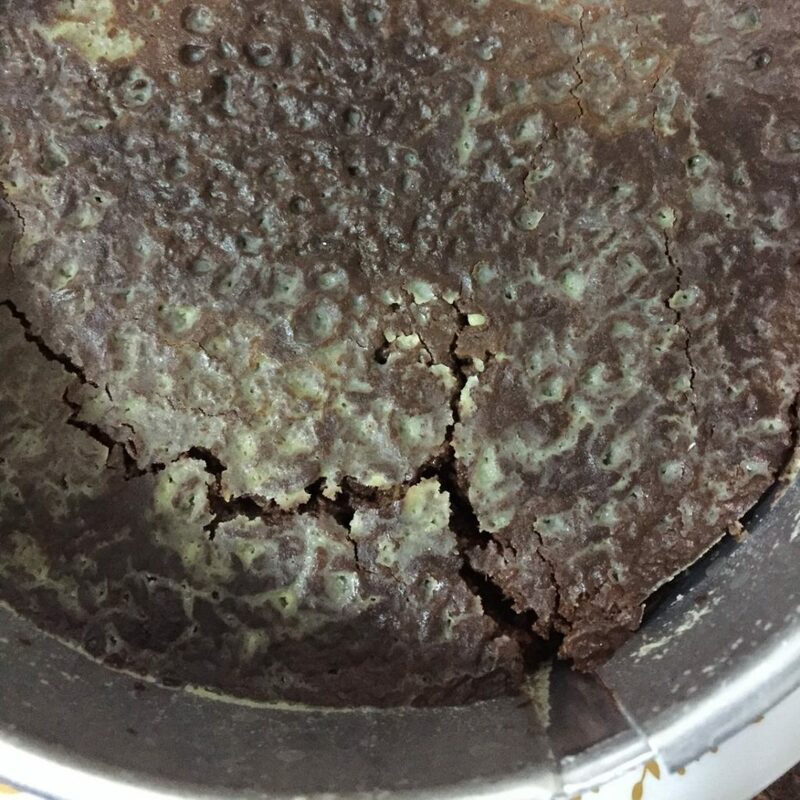 When I opened the Instant Pot after the allotted time, the cake was bubbling! I nervously removed it from the pot and set it on a cooling rack for a couple of hours. Then, I covered it and set it in the fridge. It would have to wait a whole day since I wouldn’t have time to try it until after work the next day. When I removed the cake from the fridge the next morning it didn’t look great. As I attempted to remove the springform, it started to fall apart. So, I carefully closed it again and ran a butter knife around the outside before trying again. My 2nd attempt was much more successful. I decided to flip the cake over since the top was not very pretty in hopes that the bottom would look better. I had some trouble removing the bottom of the cake pan and I had to wedge my butter knife between the bottom of the cake and pan in order to get it started. As I was doing this, some of my cake on the other side caved in and started to ooze out the side. I carefully finished removing the bottom of the pan. Then, I used the butter knife to push the oozing part of the cake back into place and smooth out the rest. The texture of this cake reminds me a little of slightly melted ice cream. 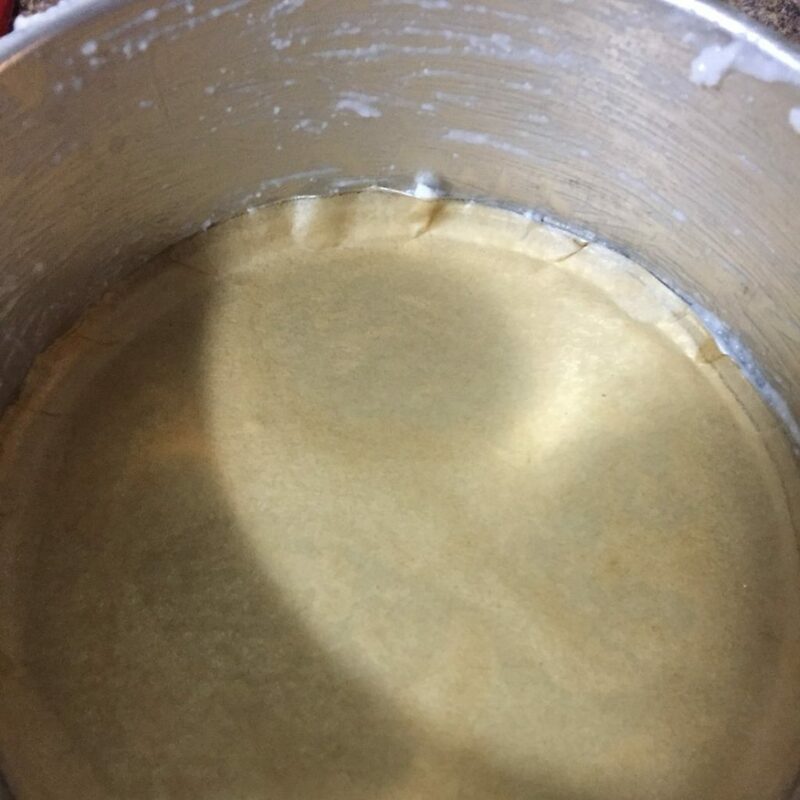 It also was not very pretty because you could see spots where the coconut oil had solidified while cooling. I decided to sprinkle a little bit of powdered sugar on top to improve the appearance. The cake was soggy and the powdered sugar started to disappear, so I had to add more. Despite the challenges with texture, the flavor was very good! 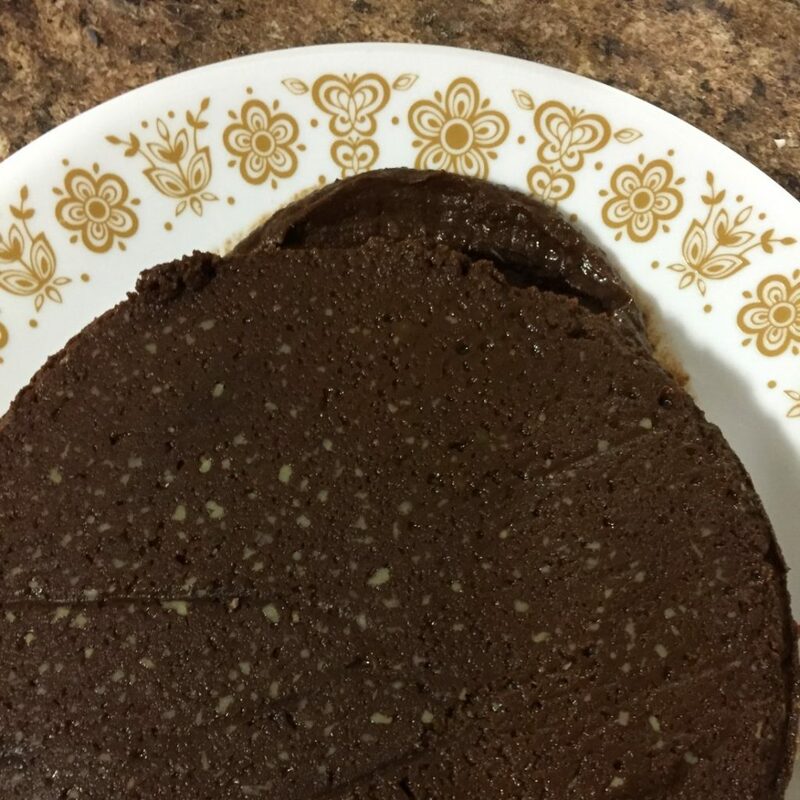 The solidified coconut oil was evident throughout and added a crunch that resembled chocolate flakes. My very picky S.O. said the cake was delicious and had two pieces! In my book that is an automatic win! 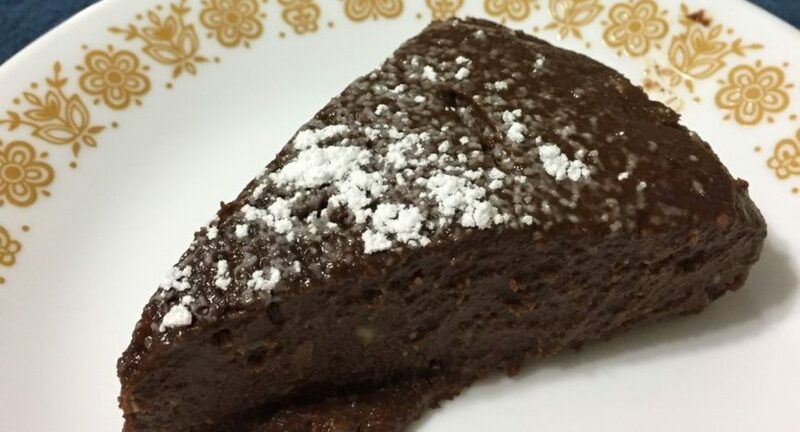 Overall, this cake is pretty good for a vegan, allergen free cake with none of the traditional cake ingredients. If I try it again, I think I will either use less pumpkin, or just stick with 2 avocados to try to reduce the moisture levels. Luckily, I think this cake has a lot of room for experimentation.